2019 Honda Pilot vs. 2019 Honda Odyssey: What's the Difference? 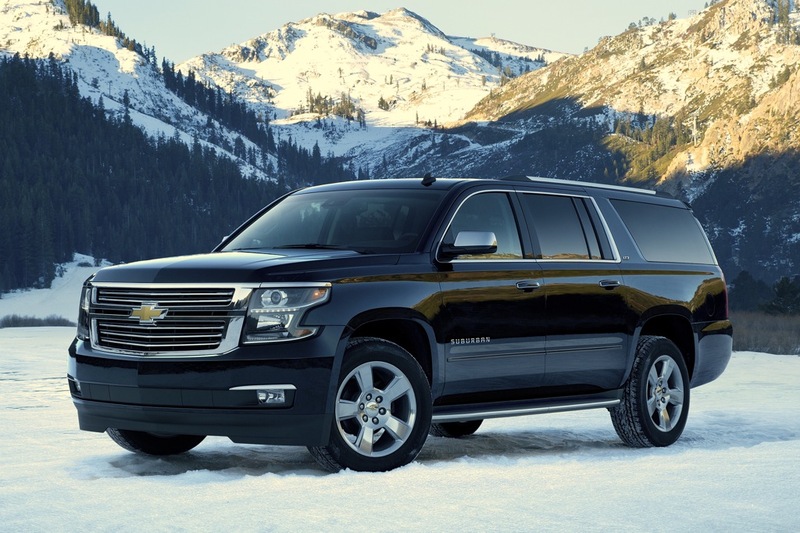 Here, we'll try to answer the age old question: SUV or Van? 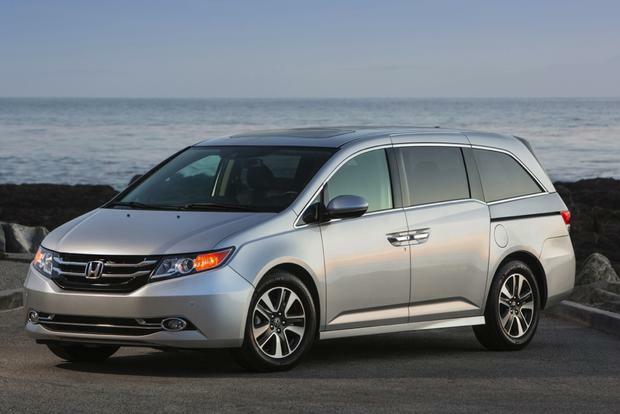 The 2019 Honda Odyssey is quite possibly the most family-oriented vehicle on the road. The kids should love it. Mom and dad? Maybe less so. 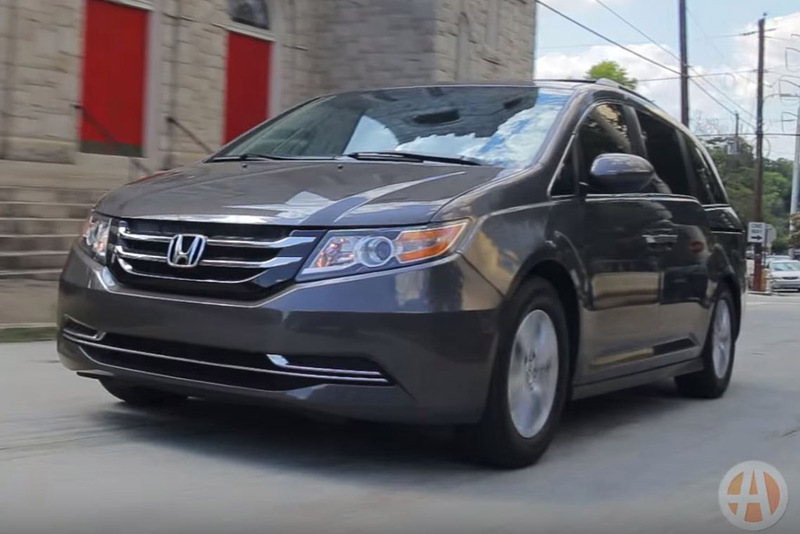 With room for up to eight passengers and cool features like an onboard vacuum cleaner, the 2015 Honda Odyssey is a top family-hauler choice. 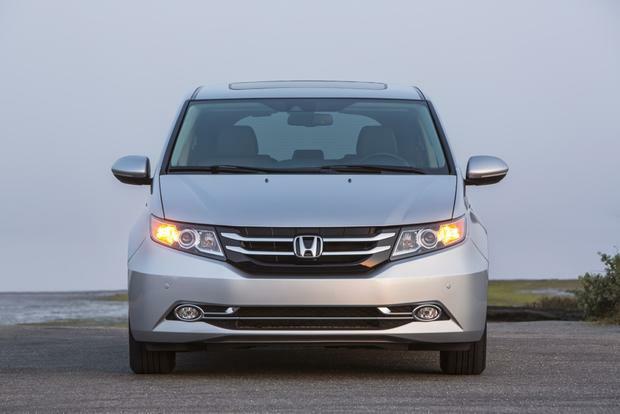 The Honda Odyssey is one of the most popular used minivan choices, offering a just-right combination of family-friendly attributes. With Mother's Day on the way, we think Mom might be interested in an automotive upgrade from a normal family car to a flashy new model with all the latest bells and whistles. Oh, sure, it may not be practical for Mom to leave behind her traditional family hauler for one of our pricey new choices. But we can be sure these are the cars Mom would rather be driving if money -- and fuel economy -- were no object. How many times has Mom come home from bringing the kids to school and announced, "I wish I had a 570-horsepower, turbocharged, V8-powered BMW SUV?" Probably never. But we suspect that's only because Mom doesn't know what she's missing in her Honda Odyssey. Oh, sure, the Odyssey offers a smooth ride, affordable pricing, dual sliding doors and seating for seven. It also touts reasonably sharp handling and an adequate 248 hp. If Mom chose the Honda over other minivans and SUVs, there's a good chance she has a longing for an SUV with even more emphasis on the "sport" part of that acronym. 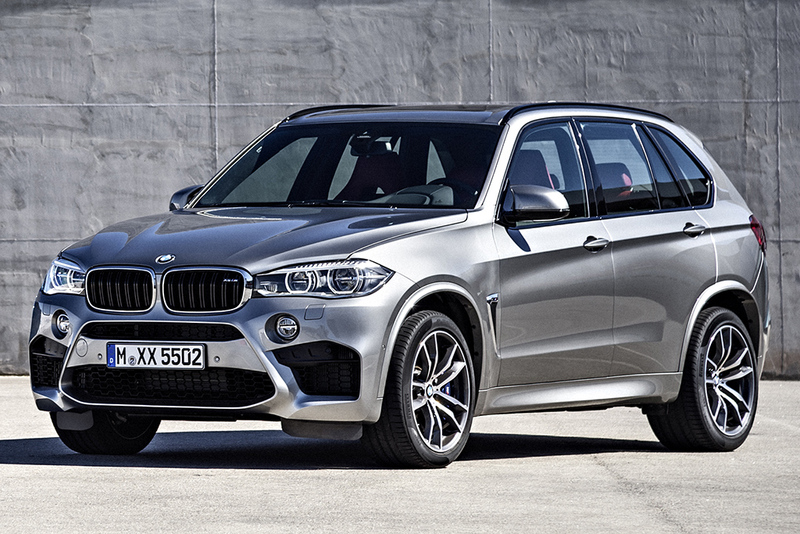 The BMW X5M takes the school run to a whole new level, thanks to its massive V8, its sports-carlike handling and acceleration and an engine rumble that rivals most Ferraris. Unfortunately, there's also the small matter of its $100,000 base price and its fuel economy ratings of around 14 miles per gallon in the city and 19 mpg on the highway. Maybe we can ease mom into the game with a BMW X5 xDrive50i. 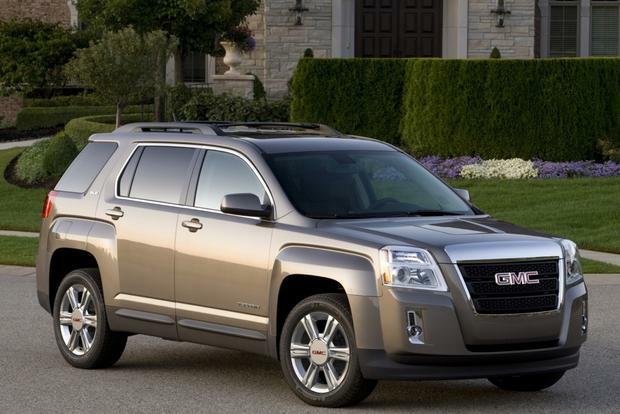 It still has a more-than-adequate 4.4-liter V8 and is about $30,000 less than the tough M version. 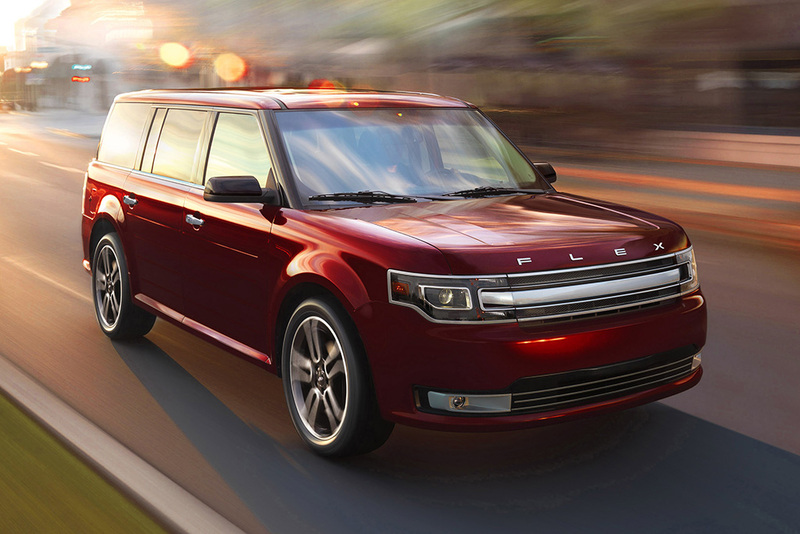 When it comes to family haulers, the Dodge Grand Caravan and the Ford Flex are on two completely opposite ends of the spectrum. On one end is the Grand Caravan: a plain, staid conservative minivan with a basic interior and the usual list of creature comforts. This is the typical "mom car" that will get the whole family safely and reliably from Point A to Point B with little drama. 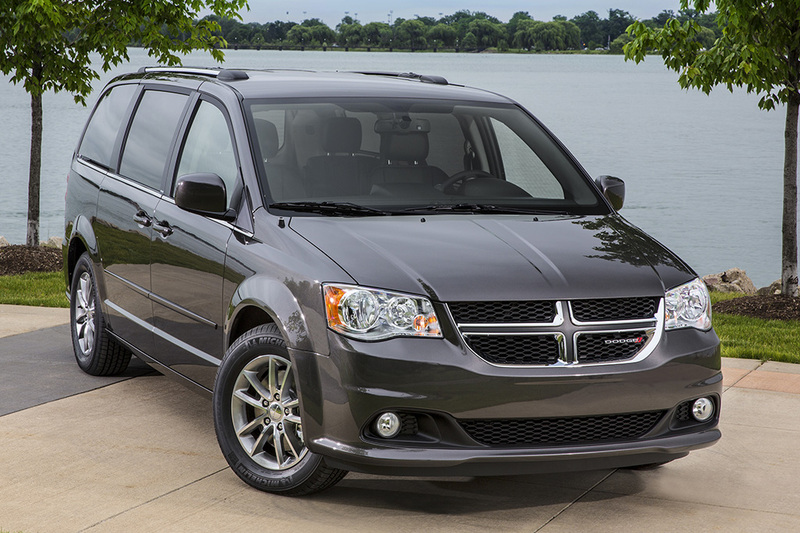 The Grand Caravan is kinda like a fanny pack: helpful, but not cool. On the other end, you have the Flex: an unusual, boldly styled, boxy SUV-wagon mix-up that offers the same 3-row seating in a far more modern and daring package. And since we're fantasizing, consider this: The Flex also comes with an available 365-hp turbocharged V6, which brings it to 60 mph in a sports-carlike 6.1 seconds. We've all known -- or been -- the mom with the Suburban who has two, three or even four kids, and a wide variety of music lessons, baseball games, hockey practices and after-school activities. She might even have a boat or horse trailer to tow in back on the weekends. It's an exhausting life, and it's a big car: one that's largely designed for function rather than fun. 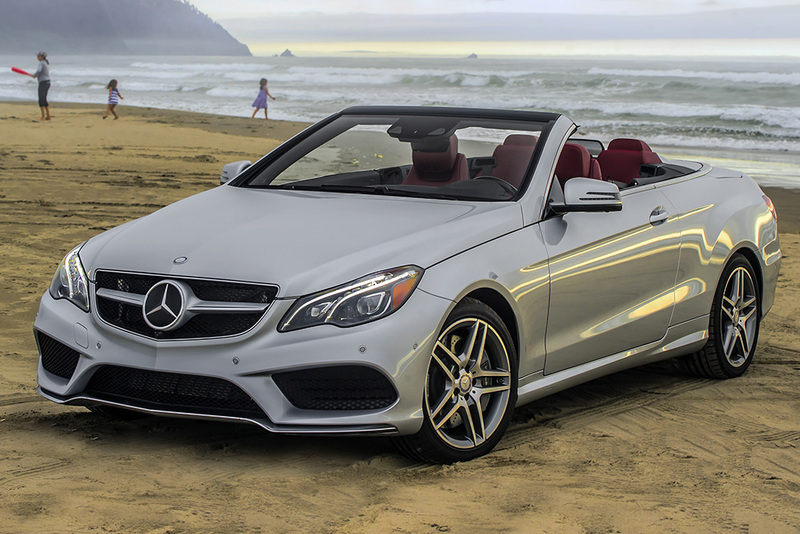 So for Mother's Day this year, maybe Mom would prefer a treat: a Mercedes-Benz E-Class Cabriolet. There won't be any crumbs in the third row because, well, there is no third row. There's barely even a second row. It's just Mom, a well-appointed European luxury car and top-down driving enjoyment. Talk about a much-needed break from the routine of hauling around a family and their many accessories. 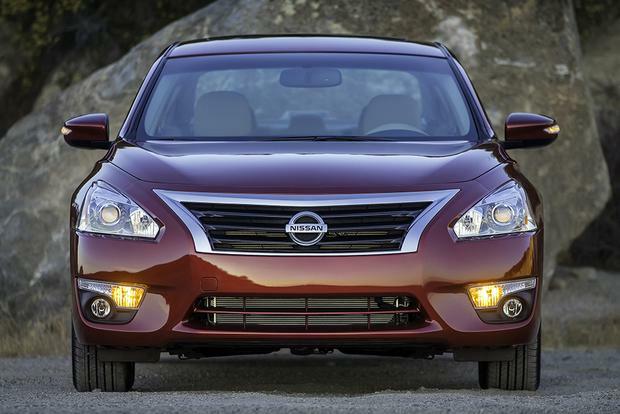 In the world of family cars, the midsize Altima sedan is an excellent one. 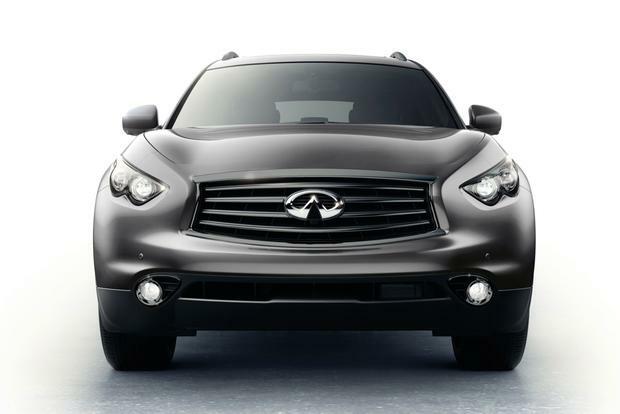 It offers fuel-efficient engines, side-curtain airbags, a smooth ride, available V6 power and a long list of technology. But it's hard to feel especially energized when you turn on your Altima to run an errand or drive your kids to an event. Enter the Infiniti QX70. This other model that's also under the Nissan umbrella, seems to be the antidote for everything that's plain about the Altima. Styling is bold and unusual, the rear-wheel-drive layout lends itself to handling prowess and decent performance, and there's even an available 5.0-liter V8 that makes a brawny 390 hp -- not bad for a "mom car." Every mom who has ever spent serious time behind the wheel of a practical "mom car," such as the Ford Explorer, has wanted, at one point or another, to hammer the throttle and merge onto the highway like a sports car, rather than a family transporter. If you trade the regular ol' Ford Explorer for a Jeep Grand Cherokee SRT8, Mom can do just that. 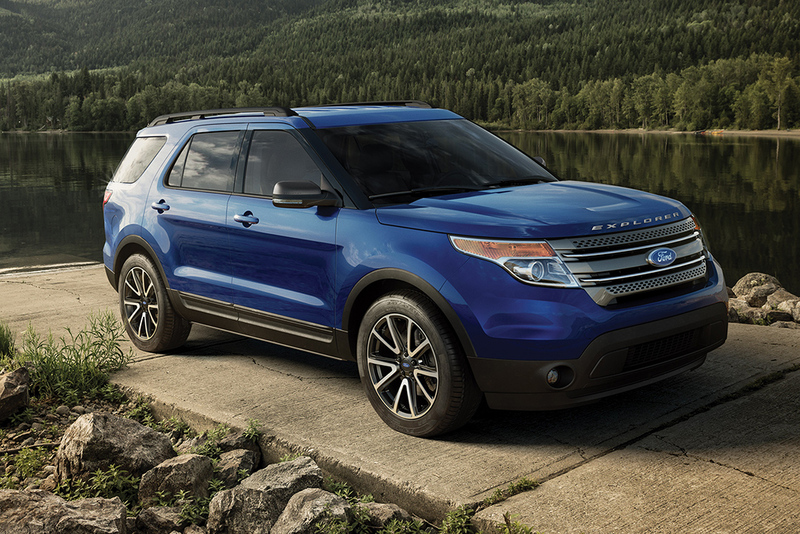 Yes, we know the Explorer's V6 powertrain is adequate, as it makes 290 hp, and the Explorer can even be upgraded to a 365 hp EcoBoost V6. But Mom really wants to make an impression in the carpool lane and the freeway on-ramp. 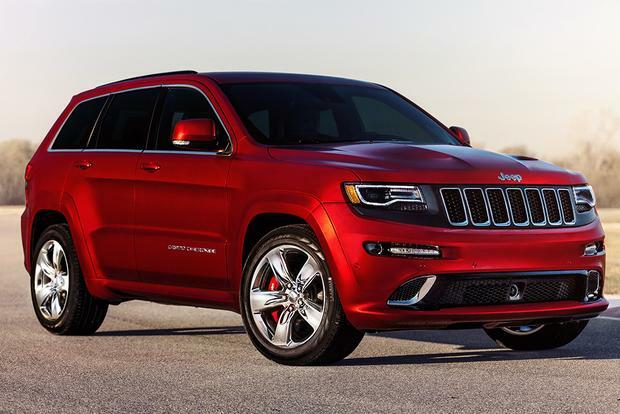 For that, she'll want the Grand Cherokee SRT8, which touts an impressive 475 hp, 470 lb-ft and a 0-to-60 time in the mid-4-second range. No one will ever try to cut off Mom again. 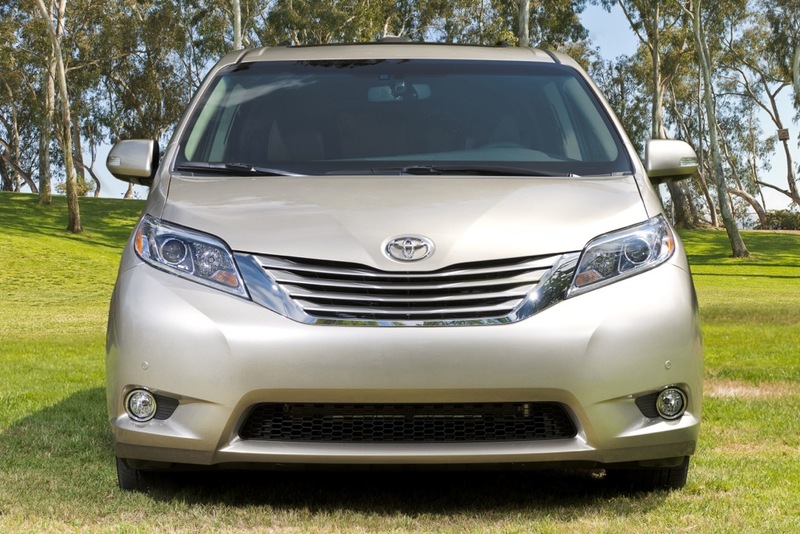 We've all seen Toyota's advertisements for the Sienna, which tout it as a "cool" alternative to mainstream minivans. 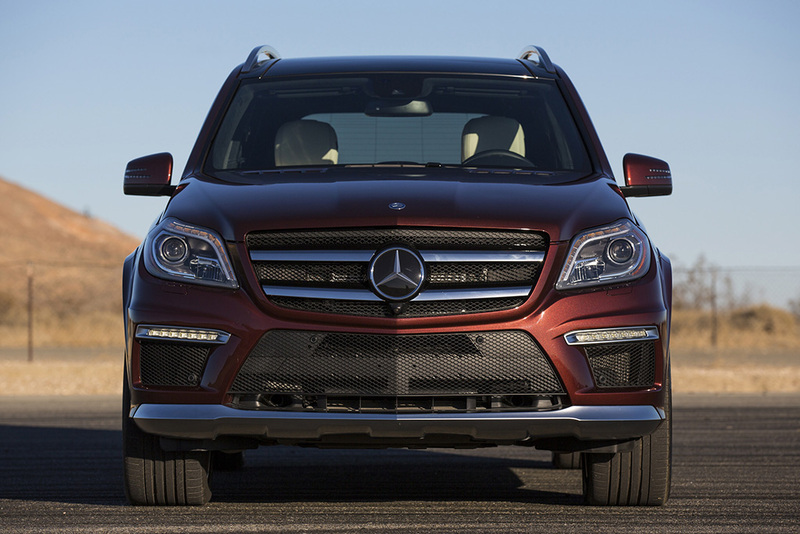 Well, we've got news for you: While the Sienna SE is a little cooler than the typical van, it's nowhere near as cool as the Mercedes-Benz GL63 AMG when it comes to family hauling. Put aside base price for a moment -- the Sienna starts under $30,000 and the GL63 starts at over $120,000 -- and consider it. Gone is the Sienna's 266-hp V6, replaced instead with a 550-hp twin-turbocharged V8. Gone are the sliding doors and minivan interior layout, replaced instead by rugged SUV styling and all the luxury you can imagine. Also gone is your entire paycheck to the gas pump because the GL63 gets only 13 mpg city/17 mpg hwy. Oops. The GMC Terrain is an excellent family car, offering reasonable pricing, good fuel economy numbers and a long list of the latest technology. It's also surprisingly roomy inside for a crossover that straddles the line between "compact" and "midsize." But what if Mom wants a truck? Enter the GMC Sierra Denali, which -- believe it or not -- also has everything necessary to be a good family car, and a good luxury car, to boot. Of course, there are five seats and a surprisingly huge back seat for kids of all sizes. There's also highly comfortable magnetic ride control, front and rear parking sensors for sliding into tight spaces, heated and ventilated front seats for extra comfort and assist steps on the outside to help your kids climb in. 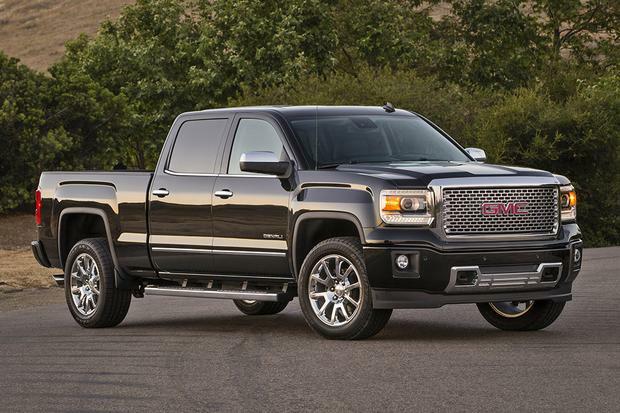 Pricing is high, as the Sierra Denali starts around $50,000, but it's the best way to combine a kid hauler, a luxury car and a capable utility vehicle into one.